This story was written by Anthony Salvanto and Mark Gersh. When we think about swing states, Florida always comes to mind. Yet Florida's 2000 contest seared such an imprint in the nation's memory that it's easy to overlook what happened in 2004: Florida wasn't close. George W. Bush carried Florida by five percentage points - a fairly comfortable win by recent Presidential election standards. Bush received one million more votes in 2004 than he did four years prior. Florida's booming suburban and exurban counties propelled Bush to his resounding victory in 2004. Now, with unsteady house values, high gas prices and retirees who depend on investment income, will they turn out in force for a Republican again? Can John McCain do as well with the Hispanic vote as George Bush (who won most of it) did - especially when Florida's Hispanic population is diversifying beyond the Cuban community? What kind of disadvantage does Barack Obama face in one of the few swing states where he didn't campaign in a primary? Florida turnout increased by more than 1,500,000 votes between 2000 and 2004 - mostly to the Republicans' advantage. The Bush campaign made especially sharp gains in the expanding exurban counties and in rural areas. The relationship between increased turnout and Bush success was undeniable: in the 21 larger counties (60,000 or more votes each) that Bush won in 2004, total turnout skyrocketed by 600,000 votes from what it had been in 2000. The Jacksonville area, in the Republican north, is a great example. Duval county (Jacksonville) went about the same 58% for Bush in both 2000 and 2004. Turnout there increased by 90,000 in 2004, translating to a larger Bush vote tally. Also keep an eye on inland Clay County, whose exurbs that grew as residents moved further afield from Jacksonville. In 2004 its 80,000-plus voters delivered a staggering 75% vote share for Bush… Can McCain get that kind of backing? The same is true for the reliably-Republican counties throughout the Panhandle that are sometimes thought more of as a part of the "Deep South," including Leon County (Tallahassee) and Escambia County (Pensacola, a retirement area for many southerners.) For a Republican candidate, Northern Florida is the base. It's the place to watch for big vote margins, not vote swings, and McCain will need the kind of convincing wins up here that Bush got. In the middle of the state lies the oft-discussed the Tampa-Orlando "I-4" corridor, usually the swing part of this swing state. There are a lot of closely-contested counties here. Starting at the top of the corridor, watch Orange (Orlando) and Seminole. Orange County has absorbed much of the growth from booming Orlando, fueled by tourism (this is home to Disney World), high-tech business, an influx of people young and older, and new residents from other parts of the U.S. and from across Latin America (more on the Hispanic vote later.) The net result is a split county, about as evenly divided as any in Florida. That probably makes it a bellwether: Obama would try to combine support from African American voters (about one-fifth of the population) and upper-income professionals in the same kind of coalition that he seeks in other growing urban areas. 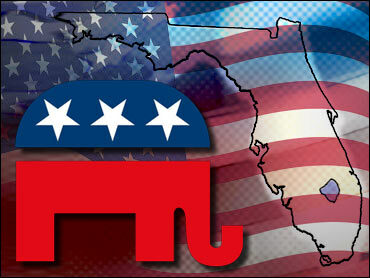 Seminole County leans more Republican. It has a quarter million voters and is one of the state's fastest-growing exurban areas, having added about 75,000 people this decade and 50,000 voters in ten years. But it is less diverse than Orange. Like other fast-growing counties around the state - and the country, for that matter - Bush won Seminole by a comfortable margin in 2004. It could indicate McCain's fortunes as well as any county. Down the corridor, watch Hillsborough, which contains Tampa. This is marginally Republican, growing, and thus far trending Republican. Bush won it in 2000; thanks to turnout gains he won it by a wider margin and more voters in 2004. Hillsboro was up 96,000 in turnout over 2000. If McCain is doing well with higher-income Republicans and suburbanites, he could match Bush's margins, and that would help him carry the state. (Obama, for his part, will be tested in how well he can hold on to white working class voters here.) Also watch Pinellas County (St. Petersburg), which is a little less wealthy and has been almost dead even in partisan registration as well as recent voting. Further south, the Democrats try to answer the North's big Republican gains with their own. In watching the "Gold Coast" counties, keep a close eye on the margins, even if they look lopsided. After 2000, the voting inclinations of Broward and Palm Beach counties may be some of the best-known in the nation -- but it's about how many votes the Democrats take out of here, not whether or not they win. Palm Beach's voters went 60% for Kerry in 2004, and he got 64% of the vote in Broward; but neither was enough. Kerry benefited from a turnout surge in Broward (plus 121,000 votes from 2000) and Palm Beach (plus 84,000) - but that still wasn't enough. Percentage-wise, Gore did better; he got 63% in Palm and 68% in Broward in 2000, perhaps aided by having Joe Lieberman on the ticket. Lieberman is, of course, on McCain's side now, a fact that shouldn't be overlooked in this region. Palm and Broward Counties are so large (nearly two million votes together) and so critical to Democratic vote margins statewide that without something considerably over 60% here, it is difficult for a Democrat to carry the state, based on recent history. Bush won one-fifth of the statewide Jewish vote (concentrated in this area) in 2004. If McCain draws similar numbers, Obama's odds of winning the state drop off. Margins are more narrowly Democratic in Miami; if McCain holds 47% of Miami-Dade (as Bush did), he'll keep the Democratic vote edge there to a manageable level. There are at least three big demographic battles that will play out in Florida. First, there is the Hispanic vote. Florida's Hispanic population continues to grow rapidly; the Census Bureau's American Community Survey estimated that Florida's Hispanic or Latino population has reached 20%. 2004's exit polls showed 15% of the 2004 vote was cast by Hispanics, and while turnout and eligibility are wild cards, there is clearly potential for a sizable increase in the 2008 Hispanic vote. But it is within the Hispanic vote that a critical story will unfold. As the Hispanic vote increases, the relative share of it that is Cuban declines. Florida's Cuban community has long-standing allegiances to the GOP. Florida's Hispanic population is approximately 18% Puerto Rican and 14% Mexican. But the most salient change among Florida's Hispanics is the increase from Latin and South American countries such as Brazil, Columbia, Ecuador, Argentina, and most markedly Panama. Together, these ethnic groups now comprise around one-third of Florida's Hispanic population. If the Hispanic vote increases but the relative share of the Cuban vote drops to around one-third of it (as it could), that could mean trouble for Republicans; the other groups are not as loyally Republican. In 2004 George W. Bush carried 56% of the Hispanic vote. If, because of either demographic or preference changes, John McCain musters only an even 50-50 split of Hispanics, that will deal a sharp blow to the Republicans' chances of holding Florida. Second, of course, is the senior vote. Like all states, Florida is diverse in age, but its 19% of the electorate over age 65 in 2004 was among the nation's highest. In the 2008 Democratic primaries, older voters were not Barack Obama's strongest group. And in 2004 John Kerry lost them in Florida (by three points) en route to losing the state by five points. Obama will need to carry older voters or mitigate his losses, if he's to be competitive. However, if he can boost turnout among younger voters, which is certainly possible, Obama may not need to win among seniors. Third is the African American vote. It was 12% in 2004. John McCain cannot expect to do as well as the 13% George W. Bush got among this group; that in itself probably makes Florida in 2008 a little closer than it was in 2004. The test for the Obama campaign will be whether (and by how much) it can get African American turnout up. There are over 10 million registered voters in this vast state - and about 500,000 more registered Democrats than Republicans, though that hasn't really seemed to matter. In 2004 and 2000 there were more Democrats, too. But that gap of 500,000 today is around 150,000 voters larger than the edge the Democrats held in 2004. New registration has leaned Democratic, though in a state this large it hasn't dramatically altered the electorate as it has in, for example, New Hampshire, Iowa, or North Carolina. Republicans have been stagnant: there are almost exactly as many registered Republicans now as there were in 2004, despite a hotly-contested GOP primary this year. Still, McCain may have a couple of advantages beyond those recent trends. Florida has a Republican Governor -- unlike a host of other swing states - and Charlie Crist already helped win the state once for John McCain in the primaries. That could mean an active and strong GOP turnout machine. And speaking of the primaries, the Democrats didn't campaign here this winter. McCain did. Around the country, a lot of the swing or "toss-up" states right now are places where the ground is still warm from the Clinton-Obama primary battles (see, for instance, North Carolina, Ohio, Iowa, New Hampshire) not to mention more voter familiarity with the candidates. Florida may not have been suspenseful in 2004, but there are plenty of storylines to watch here now.